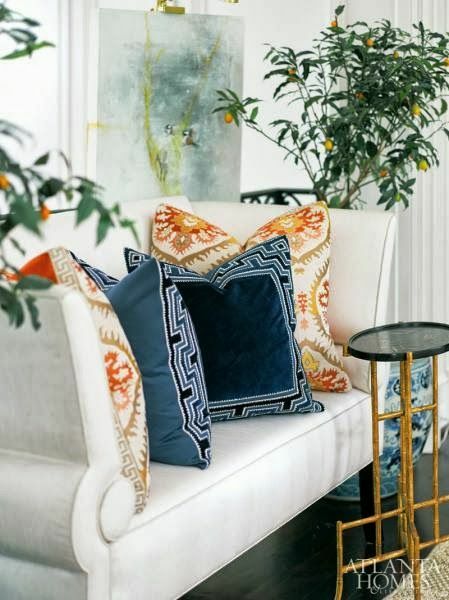 An Alan Knight settee with Greek key pillows, blue and white Chinese porcelains with live citrus trees, Greg Ragland art, and a petite table create a charming spot. love the entire look!!! Great greek key pillows. all the rage in decorating. Faux Bamboo !! !